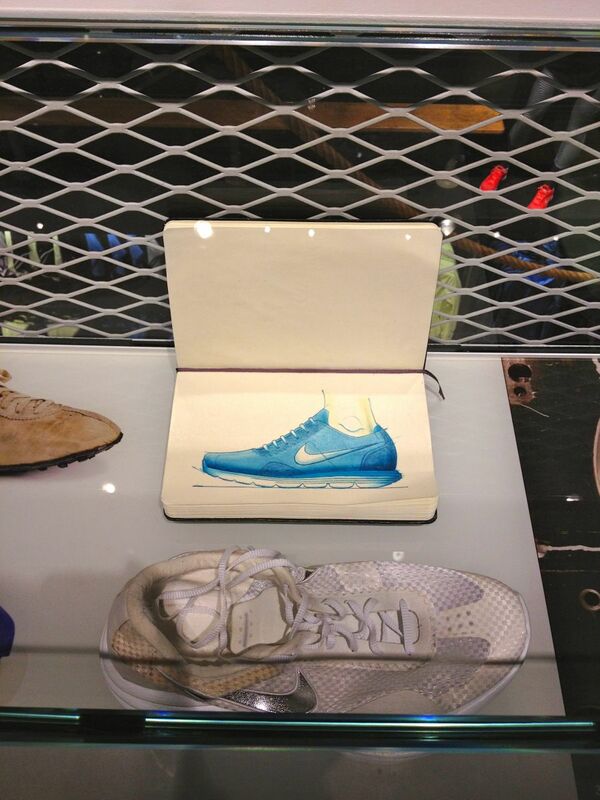 A closer look at Nike Georgetown's new Flyknit display, including early samples and design sketches. 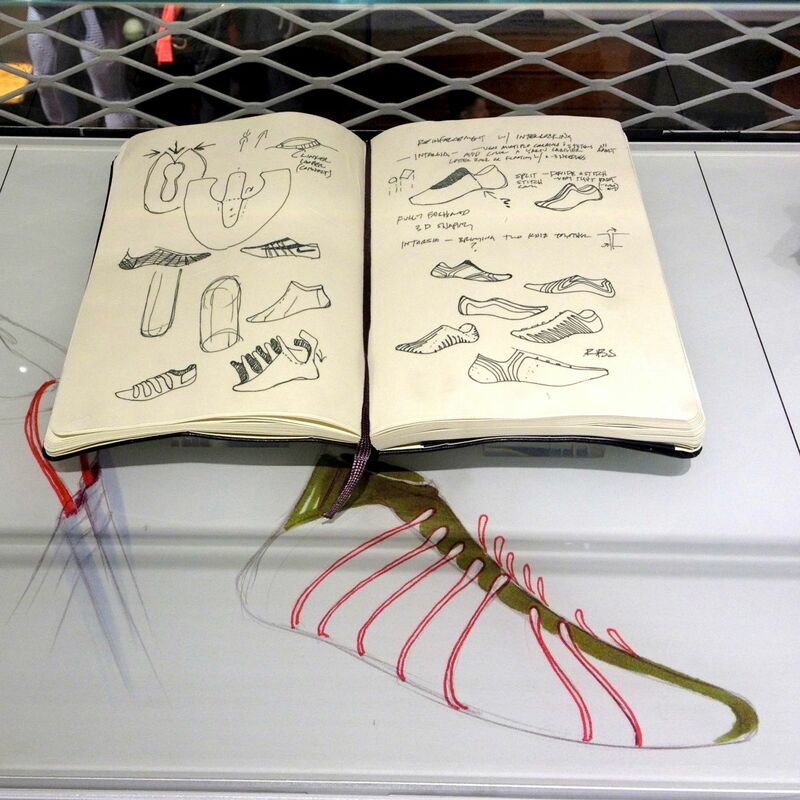 Nike launched its first direct-to-consumer retail experience in Washington, D.C. on Thursday, opening the 31,000-square foot Nike Georgetown store with a ribbon-cutting by the legendary Hoyas coach, John Thompson Jr. 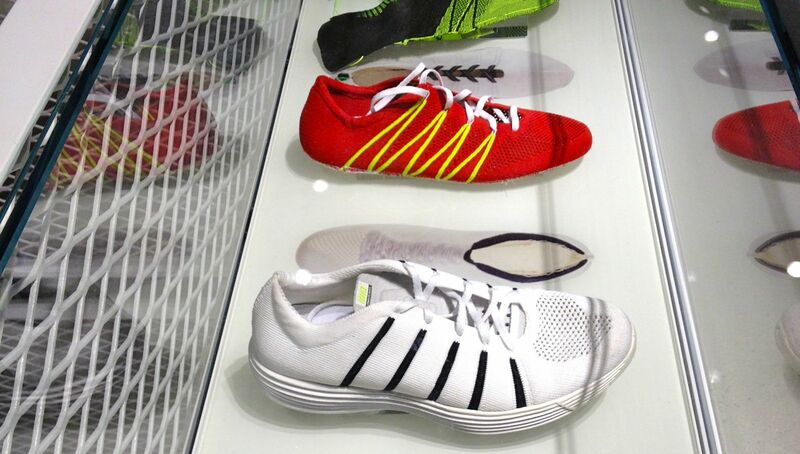 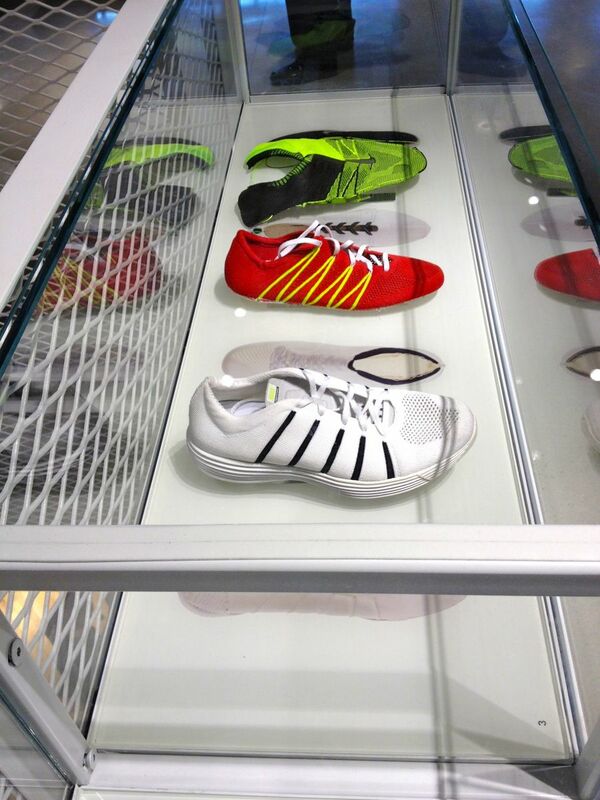 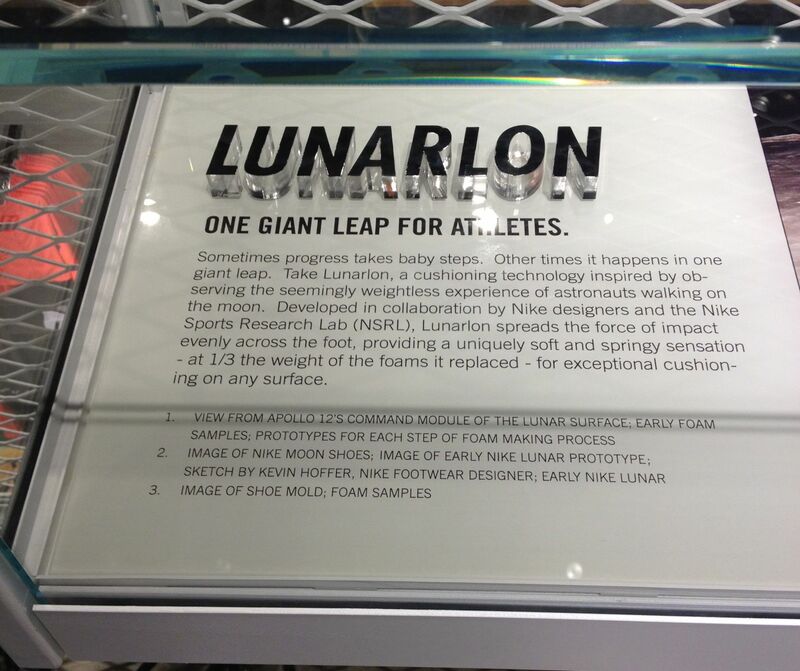 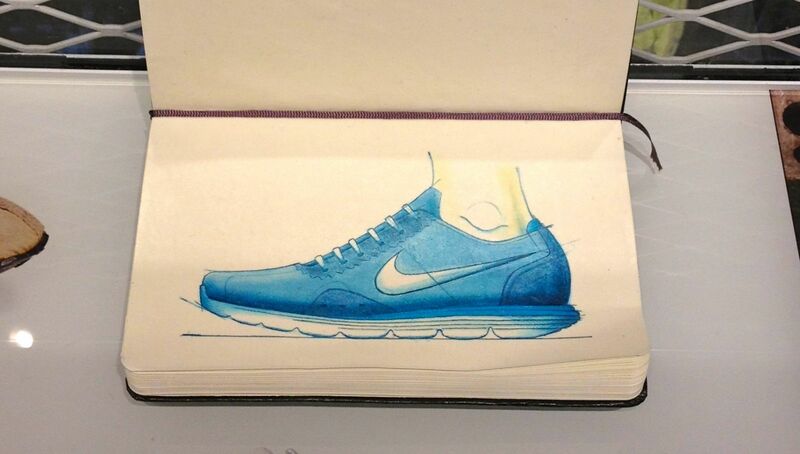 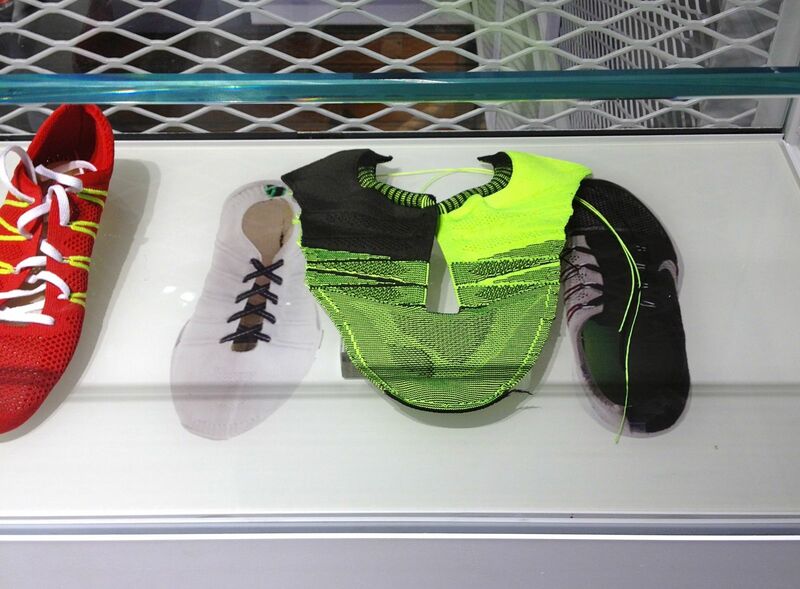 Included among the new merchandising displays at the Nike Georgetown store is an interesting look at Nike Flyknit technology, including prototypes and early design sketches from the Innovation Kitchen's Ben Shaffer.